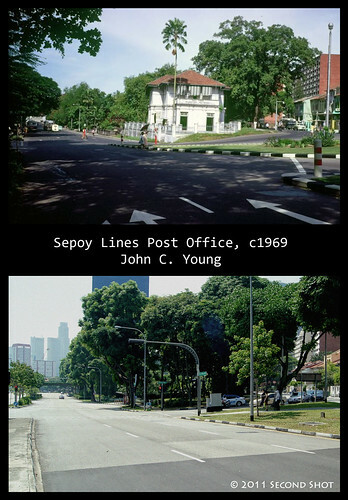 This will be my last blog post before the railway station closes its door to public on the midnight of July 1, thereby shifting to Woodlands and, in effect, ending 108 years of railway operations in Singapore. 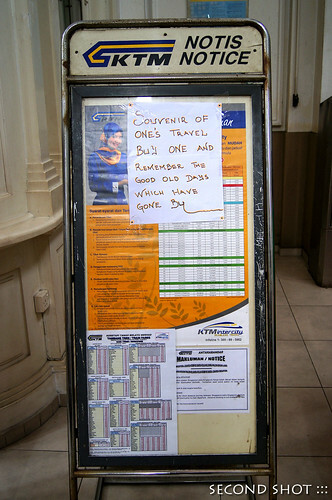 The station has been gazetted as national monument but trains will not longer run from it. Catch the trains - the soul of the station - before they are gone! 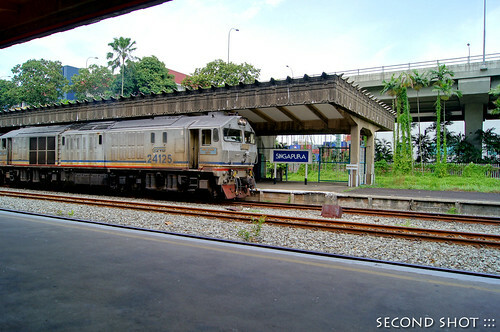 Come July 1 when KTM ceases its operations at Tanjong Pagar Railway Station, one thing sorely missed would be the food at the station. I did not wait until recently to have my first meal at the station of course. Exactly 2 years ago I blogged about my first and last trip on the Tebrau Shuttle where I sipped teh-tarik at the platform before the train departure. The memory now is sweet, just like the beverage two years ago. The light lunch at Rail Mall before I chiong the crossings was a deliberate decision on my part. After Hillview Bridge where the race would start, there was the crossing at Gombak before reaching Ten Mile Junction. 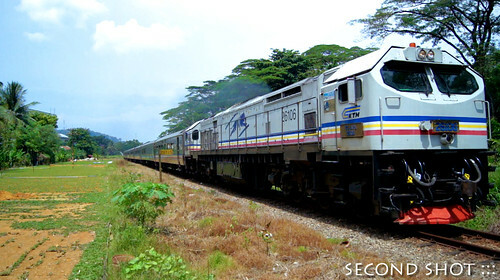 That I would have another affair at Ten Mile, two years after the previous one, was no coincidence, for at 1300 hrs Ekspres Sinaran Selatan was scheduled to depart from Tanjong Pagar Station. 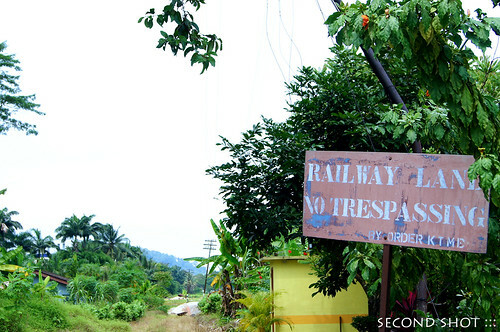 Before long the train would cross Choa Chu Kang Road at Ten Mile Junction on its journey up north. As you may have guessed, yours truly have gone on multiple trips to Tanjong Pagar Railway Station, thanks to his excellent workplace location at Si Pai Por. As the deadline for the station closure looms, I brave a few midday sun in my business clothes to explore the station; to shoot and re-shoot, to makan and to observe the crowd, at the same time wondering hard about its history from 1932. It was a frenzy of activity for me; and so every visit, without fail, I would be rewarded with a shirt - the one I'm wearing - soaked in sweat. With only 10 days before the sun sets on Tanjong Pagar Railway Station ending 108 years of railway operations in Singapore, how would you spend your time capturing the railway's last days and be part of history in the making? After the death knell was sounded last year, there has been a surge of interest in things railway-related: government bodies and interest groups conducted station tours and railway corridor walks; folks snapped up train tickets for a last ride; shutterbugs swarmed the stations at Tanjong Pagar and Bukit Timah; the media put their spotlight on the event. We know time is running out. When PAP's Eric Low revealed to voters Hougang has become a slum at a recent elections rally, he must have ruffled more than a few feathers. 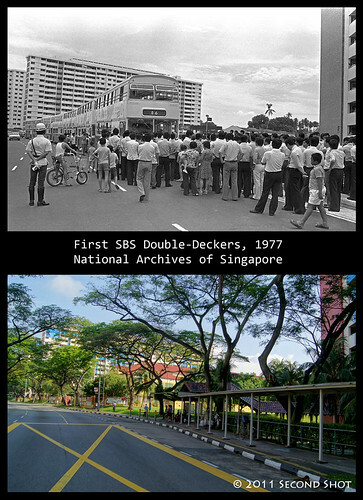 Before the General Elections, Hougang was carved out into territories which fell under PAP and WP and the slum of course referred to the estate with WP in charge. Blk 1 and 2 under the WP were compared against Blk 20 and 21 under the PAP, the example given by Eric to booster his argument. His choice of flats was apt, with Hougang Ave 3 running in-between them and residents green with envy on one side, this road demarcates the boundary of Hougang SMC and Aljunied GRC. An email by Jannah, Public Relations for the Preservation of Monuments Board, changed my schedule for Tuesday morning. To my surprise, I was invited to a special media preview of the upcoming Monumental Walking Tours organized by the PMB. A sneak preview! And free. How could I miss out on the opportunity? 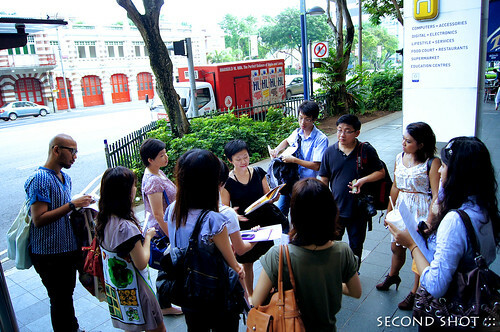 The next day, instead of taking the MRT direct to Si Pai Por, I alighted at City Hall to join the tour group assembling outside Funan Centre, gambling I could still reach my workplace "on time". Ah ... the joy of working so close to Singapore Town. 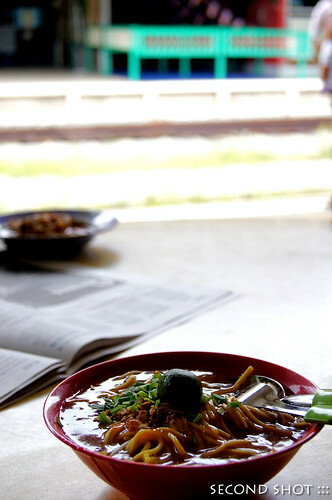 When yg read that I work at Si Pai Por now, he suggested I do a second shot of the demolished Si Pai Por Post Office. He did not reveal its location, neither was I aware of this historical landmark. My only clue lies in the archives, a color photo taken around 1969 showing the colonial two storey building. I stared hard for clues and was reminded of something I saw the other day. My mission to find Chiam See Tong's makeshift cubicle at Potong Pasir Blk 108 led to an unexpected surprise. Not surprisingly, the first person I saw at the void deck was shooting away - he was probably conscious of Chiam's fast disappearing legacy like me - and after I whipped out my camera to do likewise, a lady approached me, "do you know when Chiam See Tong will arrive?" I was taken back.